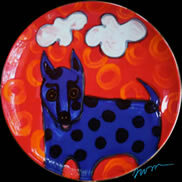 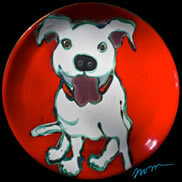 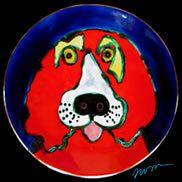 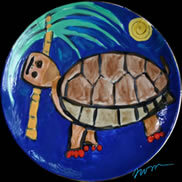 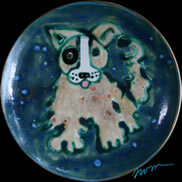 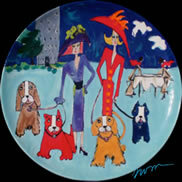 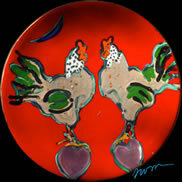 These are a commissioned, animal themed set of plates. 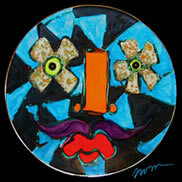 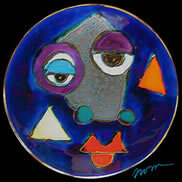 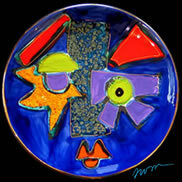 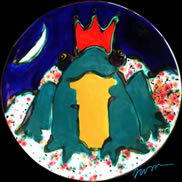 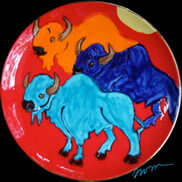 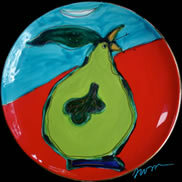 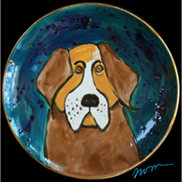 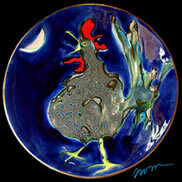 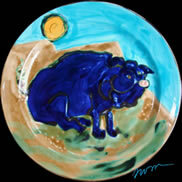 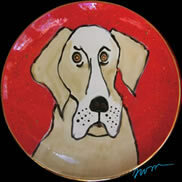 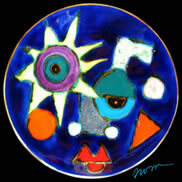 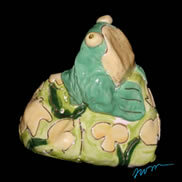 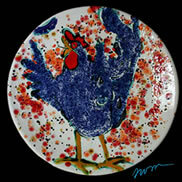 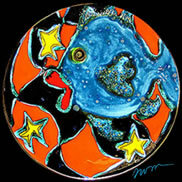 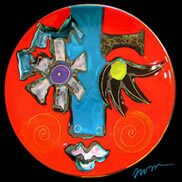 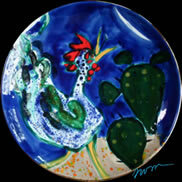 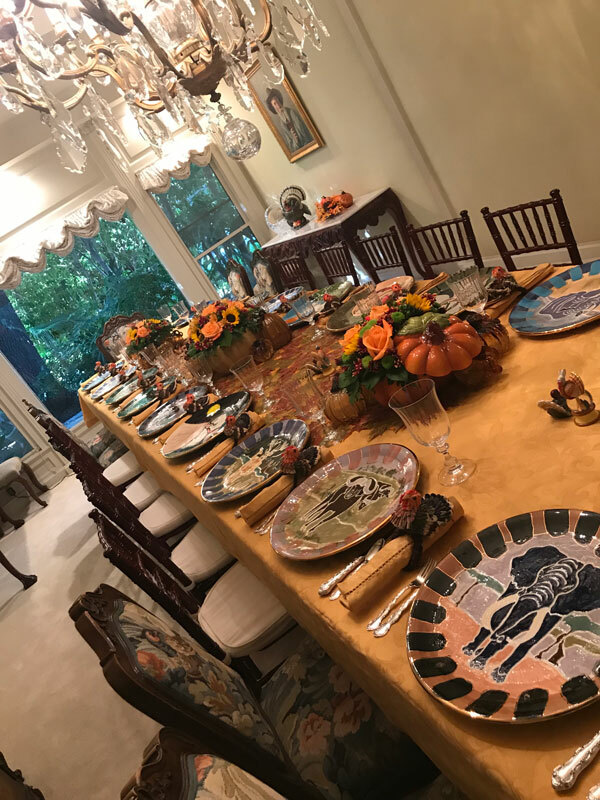 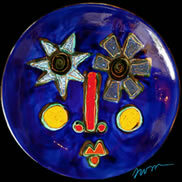 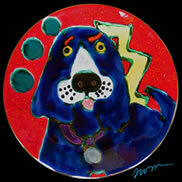 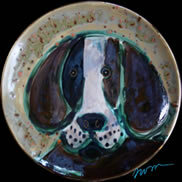 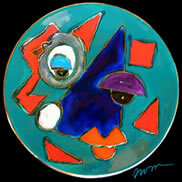 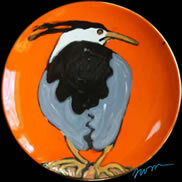 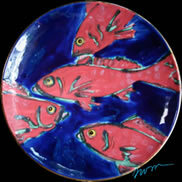 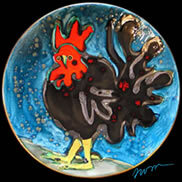 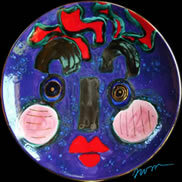 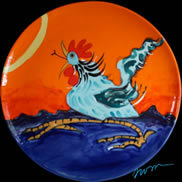 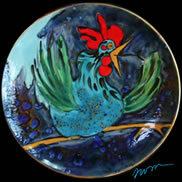 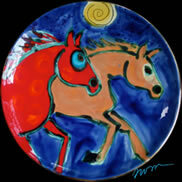 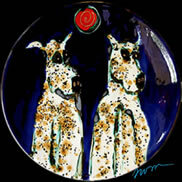 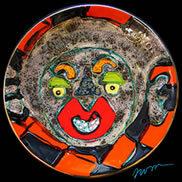 Following are a sampling of the hundreds of gold-rim and plain-rim ceramic plates made over the years. 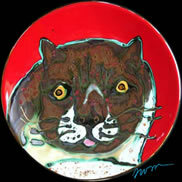 All are sold and new ones are not being produced at this time.